Home » Church News » A Century in Pictures! Posted by admin on Aug 27, 2016 in Church News, Upcoming Parish Events | Comments Off on A Century in Pictures! In celebration of 100 years as a parish, many wonderful photos have been submitted for display in the church. 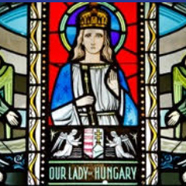 The history of Our Lady of Hungary Parish has been tediously researched, as well. Parishioner and OLH Alumnus, Fabian Fuller, has put together a wonderful slideshow of all photos submitted and articles researched, into a beautiful slideshow. To view, click the link below, sit back . . . and enjoy! !